Less than a week before Christmas Federal Finance Minister Jim Flaherty marched into a luncheon meeting of his provincial counterparts and told them what the Federal contribution to health care funding would be to 2024. The unilateral funding deal to replace the 10-year 2004 Martin health accord may have caught the provinces by surprise, but all the signals were certainly there. Given they weren’t looking for anything from the provinces in return for the funding, there was nothing preventing Harper and Flaherty from simply pulling a dollar figure out of a hat. Take it or leave it. This contrasts sharply with the last accord intended to improve wait times, increase the supply of diagnostic equipment, and enhance access to pharmaceuticals and primary care. The Accord was also intended to address provincial complaints that the Federal government was gradually slipping out of its responsibility for health care funding. Prior to the Accord, Federal contributions made up 18 per cent of the provinces’ health care costs, down from 50 per cent through much of the 1970s. In Ontario the Federal contributions are presently at 23 per cent and climbing. If Ontario does implement the kind of restraint advocated by Commissioner Don Drummond, about half of all new funding will come from the senior level of government. Many health care advocates are seeing this as a lost opportunity – instead of directing the money towards a national objective – such as a national home care strategy – the Federal government appears happy to cut the cheques and abdicate any other responsibility. That could mean provinces may choose between enhancing health care services or simply replacing their own contributions with Federal dollars, as Ontario is presently doing. With the funding already announced, this could mean considerably less influence by the Federal government in shaping national standards, something Federal Health Minister Leona Aglukkaq claims she still wants to do. With Flaherty having just given away any leverage she had, her efforts may come to nothing. By linking funding to economic performance, it also has a perverse effect of rewarding provinces at times when they need the money less, and punishing them at a time when health care demand and the need to preserve jobs is high. This makes no sense. Even the Harper government saw the necessity of spending money in the last recession to cushion Canada from a much greater economic calamity. The next recession could involve the hiring of contractors to replace sidewalks while layoffs are issued to front line health care professionals. The linkage also makes health care funding less predictable, likely seeing provinces hesitate about longer-term initiatives that require a substantial funding commitment. If the economy is booming in 2018, the provinces could end up with a substantial windfall far above the 6 per cent. Or if the present pessimism of the banks proves correct, it could result in less funding. According to a comparison reported in the Globe and Mail, increases in nominal GDP from 2011 to 2015 are expected to average 4.6 per cent annually. Had funding been tied to GDP, that would have represented a reduction in new funding of 1.4 per cent per year. Whereas the Federal government funding was intended to bring greater equity in health services between the provinces, this appears to be no longer a concern. Already Nova Scotia is fuming and Alberta celebrating. 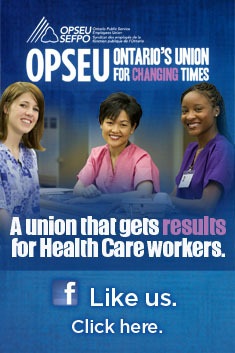 For Ontario, which has recently been hovering between have and have-not status, the net effect will likely be minimal. Economist Armine Yalnizyan of the Canadian Centre for Policy Alternatives puts this all in perspective: in the next five years the six per cent escalator will put $26 billion more into the hands of Canada’s provinces to spend on health care. By comparison, $220 billion has been dedicated to tax cuts since 2006 and $490 billion has been committed by the Harper government to refurbish the military over the next 20-years. Are these Canadian priorities? The Feds are committed to completing the present health accord in 2014 and have unilaterally decided what comes next for the 10 years to follow. Somehow, we don’t think we have heard the last of this. This entry was posted in Health System and tagged Federal health care funding, Health Accord, Jim Flaherty. Bookmark the permalink.